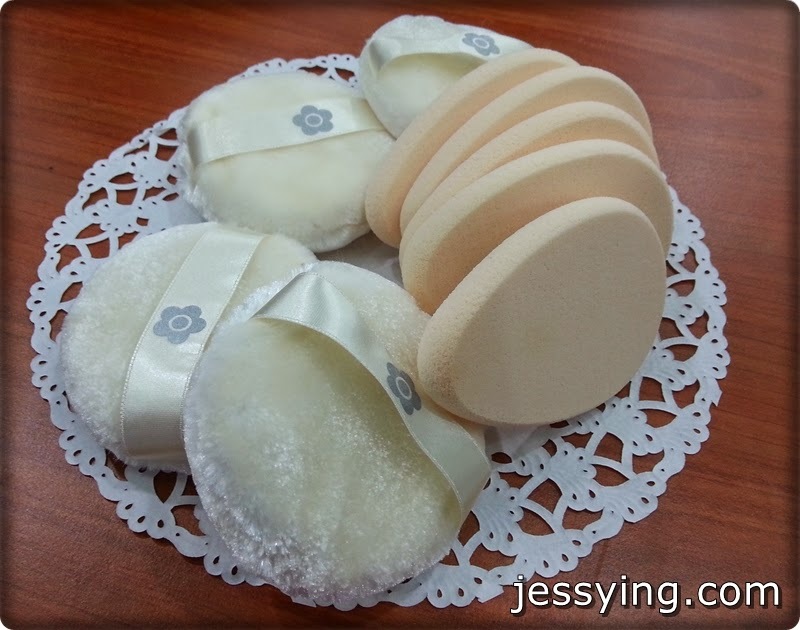 I remembered last September I first came across Mary Quant cosmetics in Muse Watsons in Sunway Pyramid and did an overview post for them here. However I didn't get a proper chance to play with the products so was glad finally get to attend their hands-on makeup workshop last week. 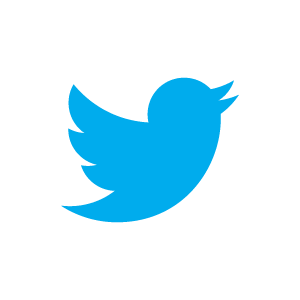 Just a recap Mary Quant Cosmetics is a brand under a famous fashion designer Mary Quant in UK who was make famous for inventing miniskirt! Mary Quant Cosmetics was born back in 1966 and it's famous for it's brand signature : Black Daisy print on her brand. Mary Quant's slogan “Be free, be yourself" which she said "I wanted to bring fashion to face". TOtal coordination, created by combining makeup and fashion to express a sense of oneself, is called a 'look'. According to her, Mary Quant is created to allow infinite possibilities in term of coordination. There are no rules that apply to coordination. And I believe this is how the freedom palette comes about, where we are free to pick any colours we want and put into the magnetic palette. Talk about customisation, this is it! This is my 2nd time meeting Ms Takaki from Japan. This time she guide us step by step in using Mary Quant's products. Lucky for us she speaks good english so it's so much easier to listen and communicate to her! I was very glad to see new puffs and sponge on the table - no gems yay! I am very particular of this when I come for beauty workshop. Thumbs up to Mary Quant for being so professional in conducting workshop. The first step of makeup, the makeup base. Put on Mary Quant Oil Zap (RM119 for 20g) on our T-zone or whole face if you skin is oily. And put on Mary Quant Moisture Zap (RM129 for 30g) on the rest of the face, it will help makeup to last longer while hydrating the skin. Oil Zap texture is gellish and glides through skin smooth. 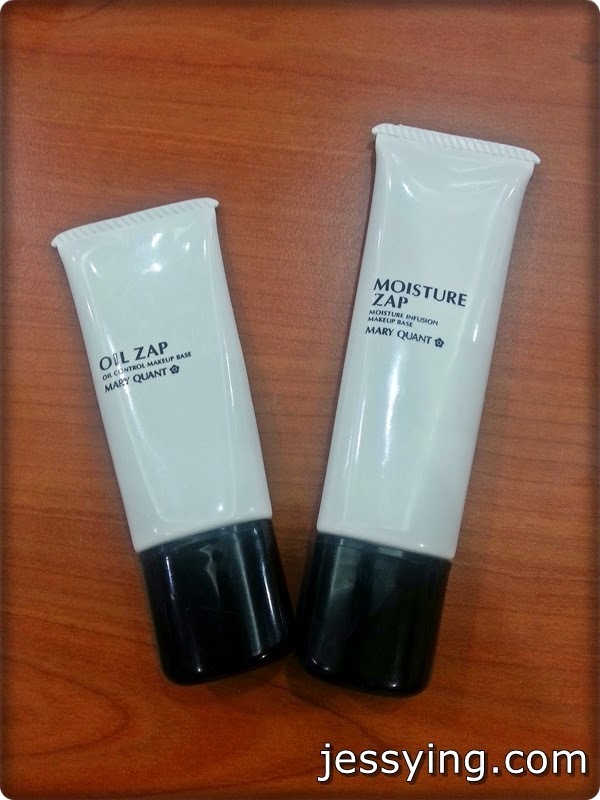 While Moisture Zapis creamy and need to be spread evenly on our face. After a long day outside, I did not feel my face is drying. It does the job as a hydrating makeup base. 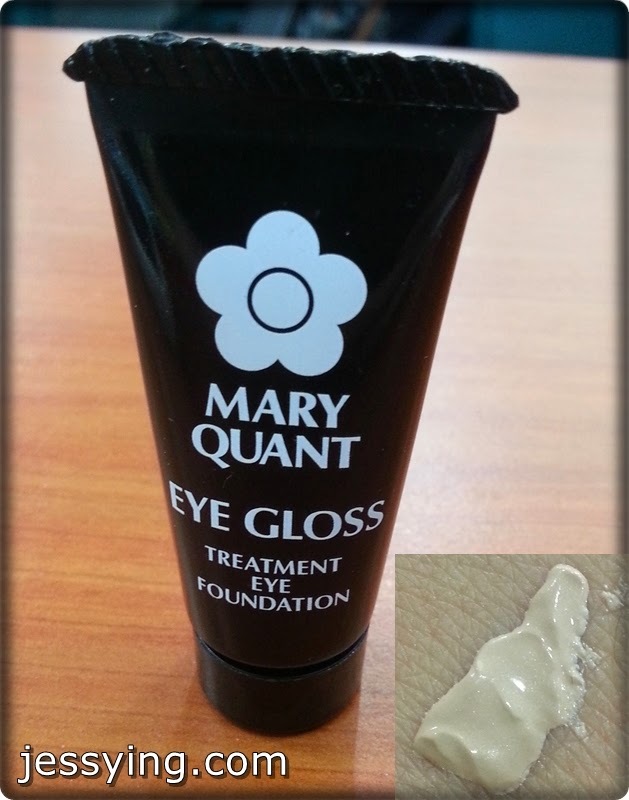 I used Mary Quant Eye Gloss (RM79 for 8.5g) to cover my dark circles and dullness. It also helps to make the eyeshadow colours show up. This comes in one universal shade and just need to use a little bit as it's pretty creamy. Comes with 8 shades, this highly highly moisturizing powder foundation controls the light and creates the idea skin colour, texture and a three-dimensional appearance. 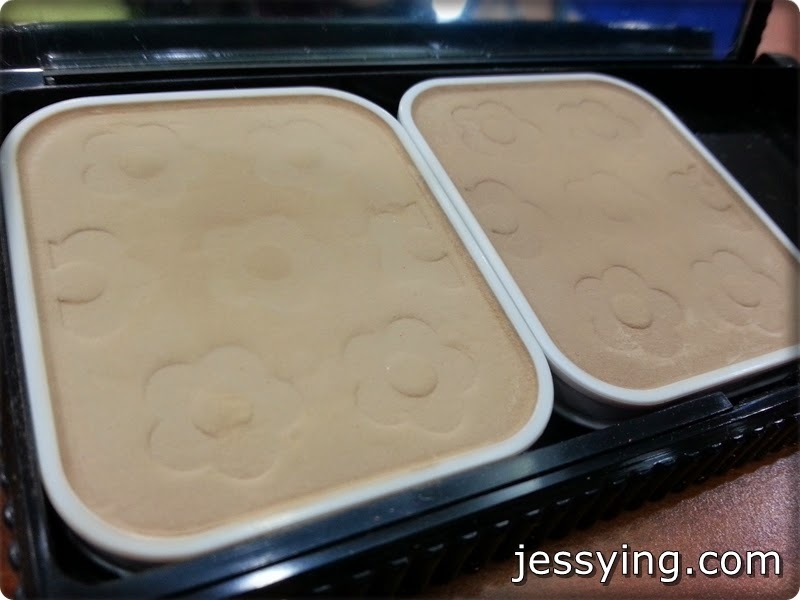 The texture of this Powder Foundation is pretty fine and smooth, plus it gives medium coverage. 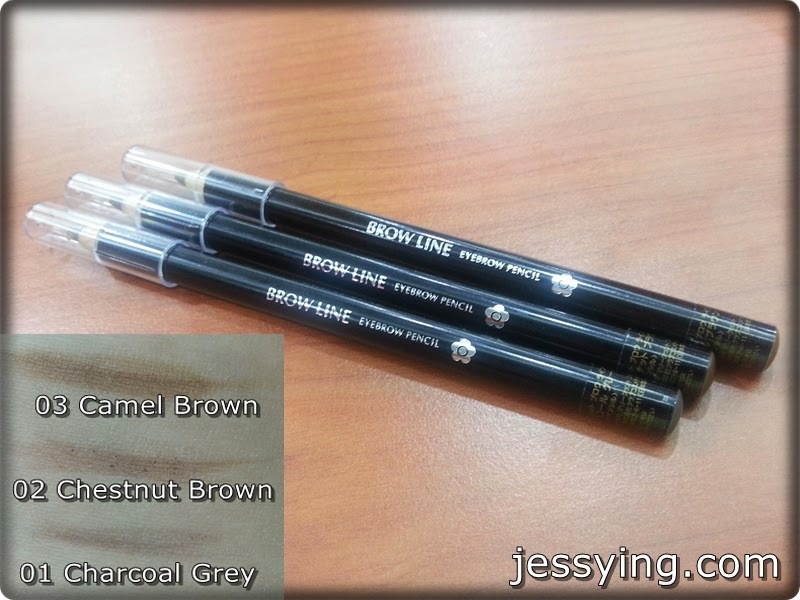 Mary Quant Brow Line (RM59) comes in 3 shades ; Charcoal grey, Chestnut Brown and Camel Brown. This is also waterproof formula. 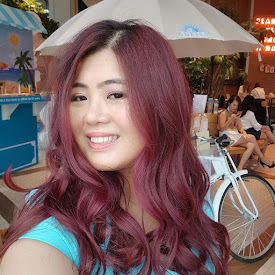 I used the lightest shade Camel Brown to match my hair colour. Pretty easy to use this one, the down side is need to sharpen it which I am always very lazy to do ! Next part is my favourite part do to make up which is my eyes.. this time we are taught to create a special romantic look using Mary Quant Eye Opener Powder Eye Shadow (RM49 without casing). 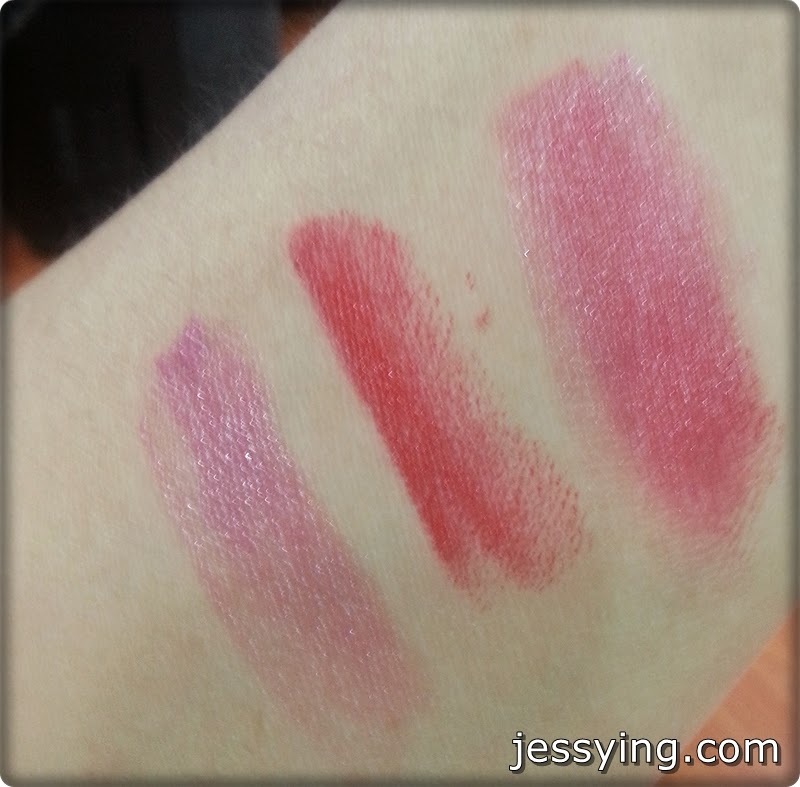 The texture is fine but not all colours are pigmented and picked as well as the others. I used N-01 (white eyeshadow) all over my eyelid and use P-06 (purple eyeshadow) on the outer corner of my eyes to create the smoky look. 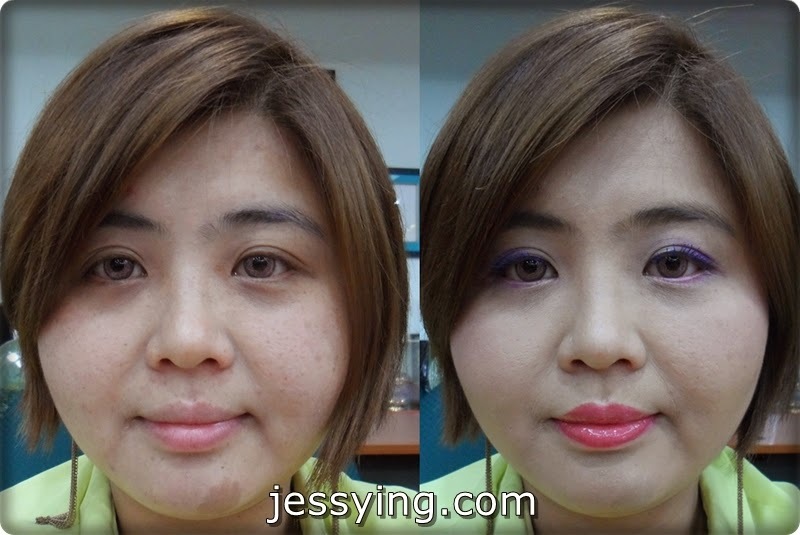 Then used V-01 (violet eyeshadow) to blend from the middle to the inner corner of the eyes. Last but not least use R-02 (red marroon eyeshadow) to apply on the corner of my under eyes waterline. Then use Mary Quant Out Line (RM59) a black eyeliner to draw a line as close as to my eyelash. To complete the whole look, I used Mary Quant Action Lashings (RM109) which is a lengthening mascara that comes with 7 colours. Very attractive colours right ? 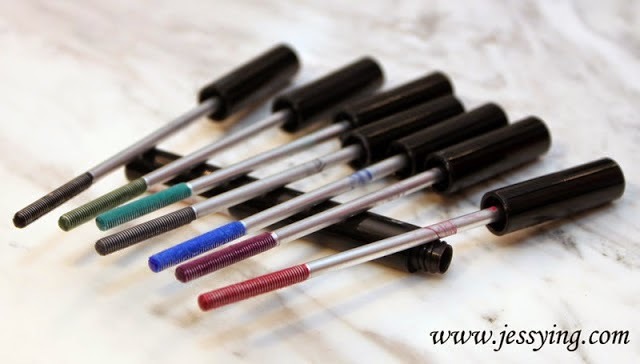 This is MQ's original two-sided coil and chip brush, which features short raised bristles on one side, and the Oil Gel Formula that gives the mascara its elasticity together create sharp & spectacular long lashes. I am lucky to born with long lashes and this Mary Quant Action Lashings add extra length to it. Although the colours are pretty vibrant it took a little bit effort to apply coat the colour on my lashes. That completes my eyes make up! Mary Quant Blush Baby (RM75 without casing) comes with 14 shades. The colour pick up quite nicely on the brush and must go light handed as it is quite pigmented. Here I used No 13 (Coral) on my cheek and 08 (Baby Pink) to highlight my nose and cheekbone. Being a experimentalist, I mixed both colour to get a very nice berry colour! Hehe who says we need another lipstick colour? Love how it's not drying on my lips. Very creamy and smooth to apply on! Finally, I decided to top up another layer of gloss to complete the whole romantic look! 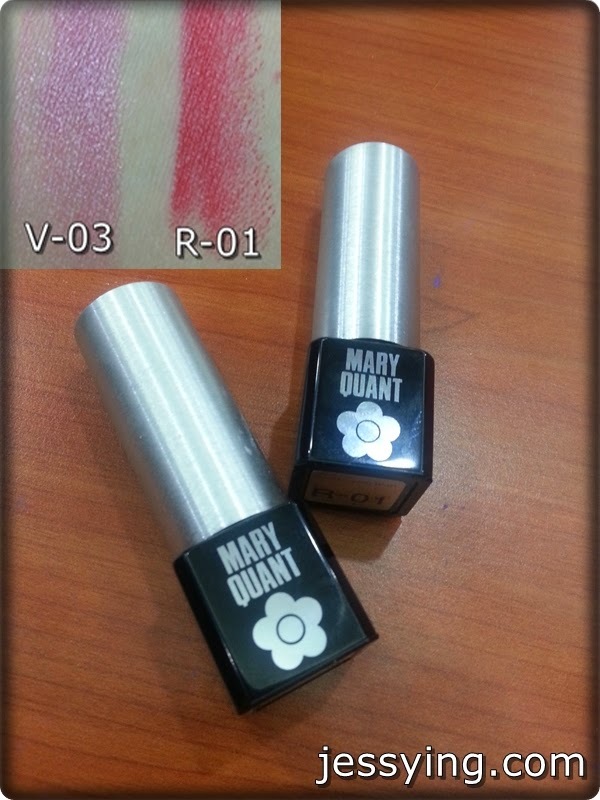 Mary Quant ColourShine for Lips (RM99) comes with 8 beautiful shades. The shade I had here is 06 Cherry Shine. This is the favourite product of the day because the shimmer is so fine & pretty. And what I like best is that it's not sticky! Oh before I forgot this is the model after picture. She is cute looking and this makeup look really suits her! 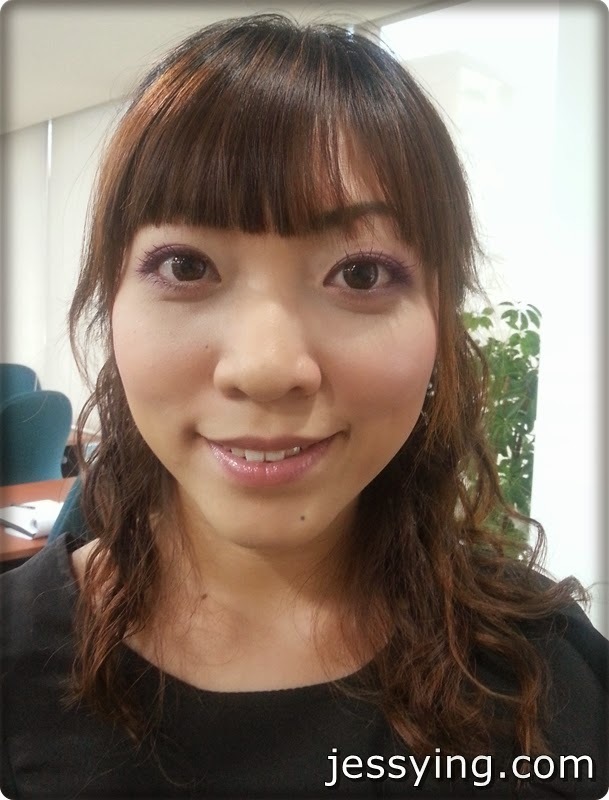 The eye makeup that was done by Ms Takaki. Her eyelashes are so long! A compulsory picture with Ms Takaki who is really nice and friendly! Thanks to Mary Quant Cosmetics Malaysia I had fun in the makeup workshop with fellow blogger friends. Laugh so much that day because was sitting with my crazy friends Juli, Pauline and Alicia ... we are teasing with each other all the time! 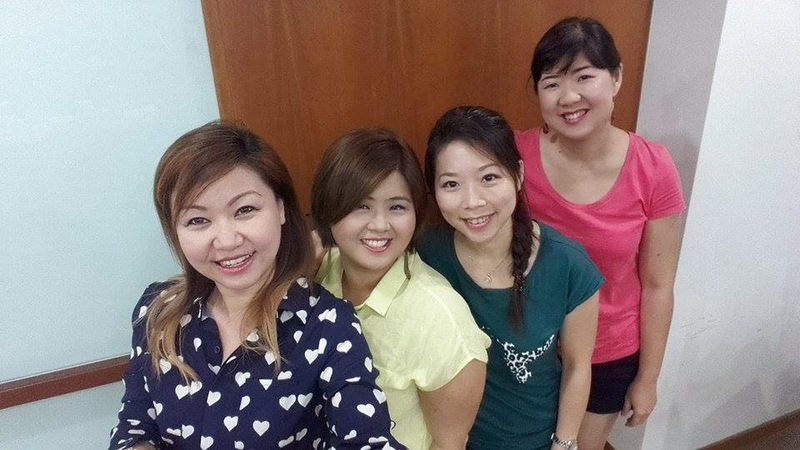 Alicia used her monopod to take this pic.. not bad ah.... this angle all the face looked really slim... haha! Also... I saw this Mary Quant black daisy shape mirror at the workshop...so pretty... how I wish I could have this on my vanity table! My makeup under natural sunlight! Am loving my colourful eyelash and lips colour.. so pretty right!